Finance Minister Arun Jaitley on Saturday gave domestic steel producers some reason to cheer in the Union Budget for 2015-16 by increasing the import duty on all steel products. Competitive intensity had increased for domestic steel producers in recent times, as cheap imports have flooded the markets. Also, the lowering of special additional duty on scrap of select metals would provide relief to metals industry. Jaitley raised import duty of long as well as flat steel products from five per cent and 7.5 per cent, respectively, to 10 per cent. Following the announcement, steel shares rose marginally. "Steel imports have been very high for the past few months; an import duty hike is certainly a welcome move," said Seshagiri Rao, joint managing director and group chief financial officer, JSW Steel.. Domestic steel industry has been facing surging imports from China, Russia, Japan and South Korea amid a not-so-strong demand scenario. India saw 8.1 million tonnes of steel getting imported during April-January with nearly three million tonnes coming from China alone. Apart from the import duty hike, the finance ministry has also kept peak custom duty hike to 15 per cent as an enabling provision for the future. "Though the actual demand for domestic steel will pick up only once the investment cycle kickstarts, it (duty hike) is a good move as something is better than nothing," Rao added. At one end, where the government has helped the domestic steel industry by raising the import duty, its move to raise the scheduled rate of clean energy cess levied on coal will push up the cost of production for domestic alloy makers. "Overall, there is nothing major for the steel industry in this Budget. Of course, the government has laid thrust on infrastructure development and if that translates into real, then steel producers will benefit. 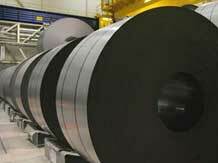 But there is nothing immediate for the industry," said a source from Essar Steel. Despite weak demand for steel in the domestic market and likely rise in the cost of production owing to the cess levied on coal, alloy makers might keep steel product prices unchanged for March. "Mostly, steel product prices will remain unchanged for March," said Rao. Meanwhile, officials of non-ferrous metal industry were expecting more from the Budget. For the scrap segment, special additional duty has been halved to two per cent for iron & steel, copper, brass, and aluminium, in an effort to address the central value-added tax (CENVAT) credit accumulation issue. "Reduction in special additional duty is surely a boost because going ahead, lower capital will get blocked under CENVAT credit accumulation. However, a complete abolishment of this duty would have been a very welcome move for the scrap industry," said Hemant Parekh, senior vice-president of Bombay Metal Exchange.